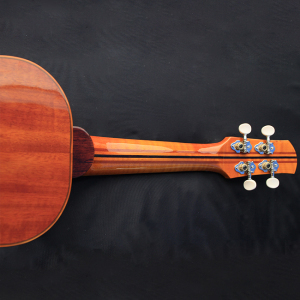 The ukulele has had several ups and downs over the last century, or so. Its popularity has once a gain soared. 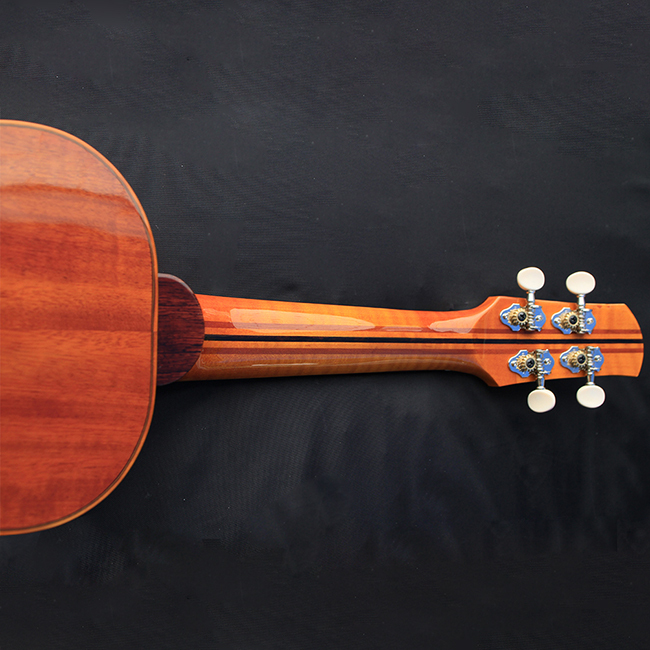 I’ve chosen to focus on the concert and tenor sizes, they are a larger, with longer scales than soprano ukes, though tuned exactly the same. The size of the concert and tenor uke make it a bit easier to play, things are spread out a little more comfortably. 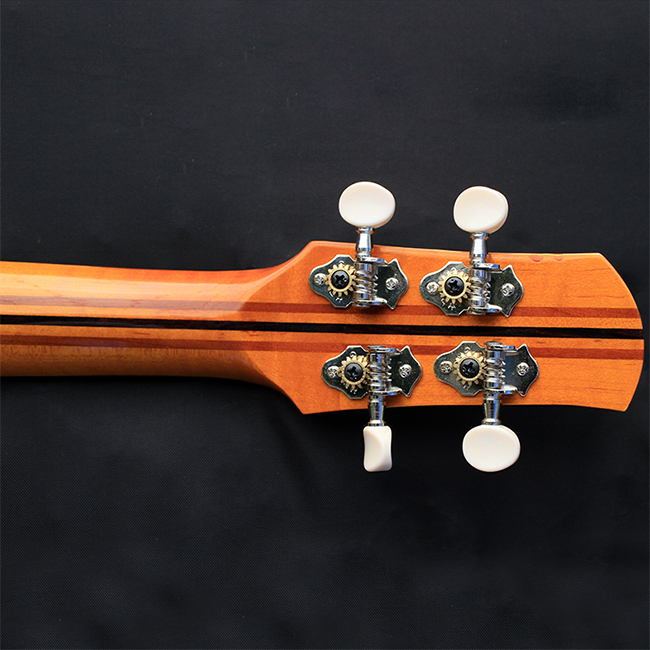 I have built ukes from several varieties of wood, padauk, mahogany, spruce and cedar. These all lend different qualities to the sound. I will be trying other varieties as time permits. 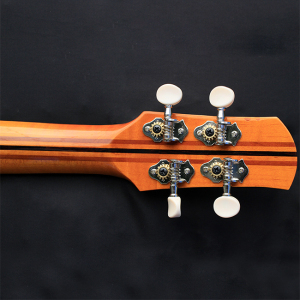 I think there is still a lot to be discovered in the construction of ukes, they are not just “little guitars” as some folks seem to think. 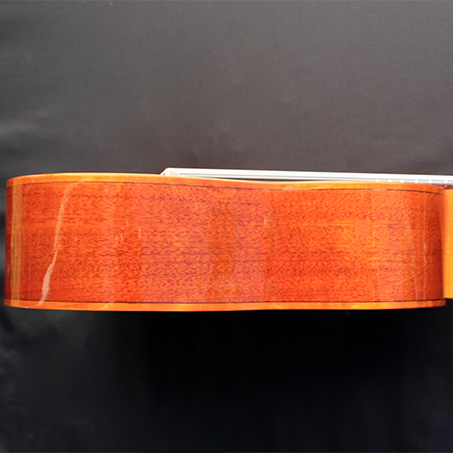 Woods don’t always seem to behave the same way in a uke as in a guitar; they can be much thinner and lighter due to the small size and low string tension. Width At Nut: 1 7/16" , At 12TH Fret: 1 3/4"
Width At Nut: 1 7/16" , At 12TH Fret: 1 11/16"